Many homeowners have energy efficient appliances in their home because they help save money on the electric bill. But why not apply that same logic to your doors and frames? Did you know that approximately 40% of all energy leakage comes from the building envelope? What’s even more – door openings represent 11% of overall energy leakage! That’s 11 % of your costs literally walking through the front door. 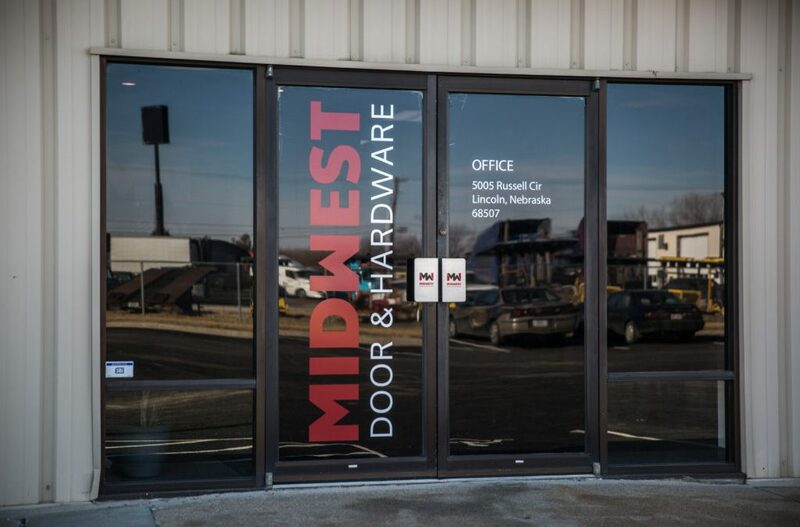 With cooler temps and the winter weather season in our future, we want to take time to talk to you about a few of our favorite energy efficient products at Midwest Door & Hardware. First though, let’s examine the facts. But how much heat are you actually losing? Thanks to Energy Performance Ratings from Energy.gov, we can measure the amount of heat lost. Let’s take a look at U-Factor ratings and air leakage. U-factor is the rate at which a door conducts non-solar heat flow. It’s usually expressed in units of Btu/hr-ft2-oF. For windows, skylights, and glass doors, a U-factor may refer to just the glass or glazing alone. The lower the U-factor, the more energy-efficient your door. Air leakage is the rate of air movement around your door in the presence of a specific pressure difference across it. It’s expressed in units of cubic feet per minute per square foot of frame area (cfm/ft2). A product with a low air leakage rating is tighter than one with a high air leakage rating. 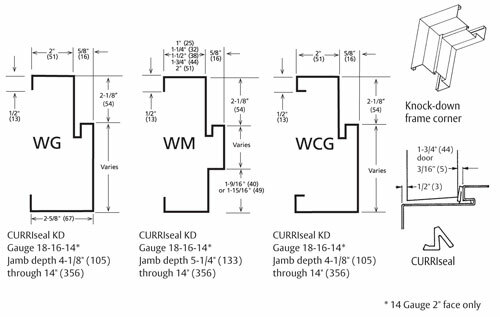 Now that you know you should be looking for a U-Factor and air leakage ratings, let’s dig into a few of our favorite products from CURRIES. We’ll feature four popular energy efficient products from our CURRIES supplier including thermal break and CURRISeal frames to help prevent the loss of heat and stop frost from forming on the inside of your opening. We’re fans of each of these products – not only do they look great, they’ll save you money as well! steel door pairs with the Mercury Thermal Break frame. This patent-pending system uses an innovative new Freon-free polyurethane foam formulation that’s more sustainable than previous options. It also provides R-value/U-factor and air leakage performance rates thatmeet or exceed stringent regulatory guidelines. designs in many finishes, making the Mercury system ideal for exterior applications in schools and universities, healthcare facilities, government and municipal buildings, place of worship, and parks and recreation buildings. The system is available with many standard mechanical and electronic hardware preps, in singles or pairs, with sidelights, transom and borrowed lights. CURRISeal is an integrally gasketed, one-piece hollow metal door frame. Gaskets installed in the integral kerf significantly reduce air flow between the door and the frame. Assemblies can be fire rated up to 3 hours and have been tested by NFPA 105, UL 1784, ASTM E-283, and UBC 33-5 Test Criteria. The 707 Series Door with polyurethane core provides complete resistance to the harshest winds that mother nature can create. 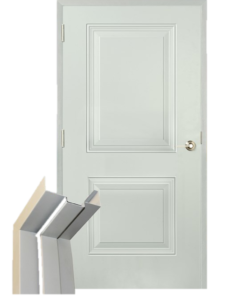 The Trio-E door is steel stiffened for strength, but has achieved an operable U-Factor of 0.36 which is better than most other steel stiffened doors currently available on the market today. Many building owners spend millions of dollars a year on energy bills and the Trio-E represents a chance for them to realize significant savings on a new or retrofit project. The Trio-E door is energy efficient with one of the lowest operable U-Factor in the industry for a steel stiffened door (U Factor .36) It’s also the first steel stiffened hollow metal swinging door to qualify for GreenGuard Gold. These doors are built to last with steel stiffened core for added strength and durability. Plus, they’re hurricane rated up to +/-100 psf 3’0” x 7’0” single and up to +/-70 psf 8”0” x 8’0” pairs. Lastly, they look great too. There are no vertical weld marks on door face sheets so aesthetically pleasing gloss paint can be applied. With colder temperatures right around the corner, now is the time to start updating your doors and frames. We’re proud to be CURRIES energy efficient solutions providers as they protect you from the elements and pack cost savings as well. If you’re ready to get your building ready for the upcoming weather, give our sales team a call at (402) 464-6348!